Hello there! Here's another review of the product that I won last year from Essence's Facebook like and share promo. It's my 4th mascara to date. If you're a long time reader of this blog I'm sure you've seen my sparse, thin and not-so existent lashes. But this dilemma came to an end when I applied Sophia Eyelash Enhancer religiously and saw my lashes became fuller and longer. 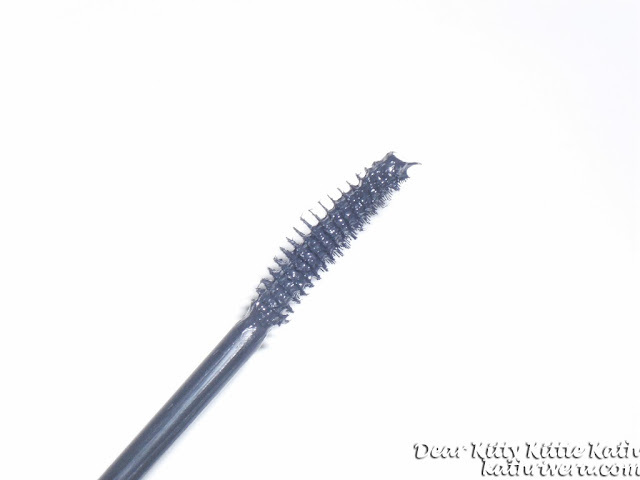 Since I only used the product for two months, the growth of my lashes became stagnant. I'm not disappointed or sad since this effects was disclose so I'm expecting really expecting that but lo and behold my lashes are still longer than the original length and based on the photos below I can say that there's still a bit of thickness on the strands. 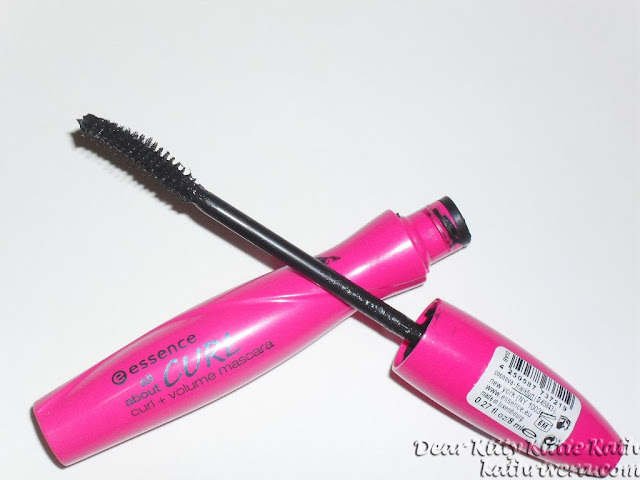 So going back to my review, this product aims to provide curl and volume at the same time hence the name curl + volume mascara. I have high hopes on this mascara because the first product that I've tried from the same brand showed good results. 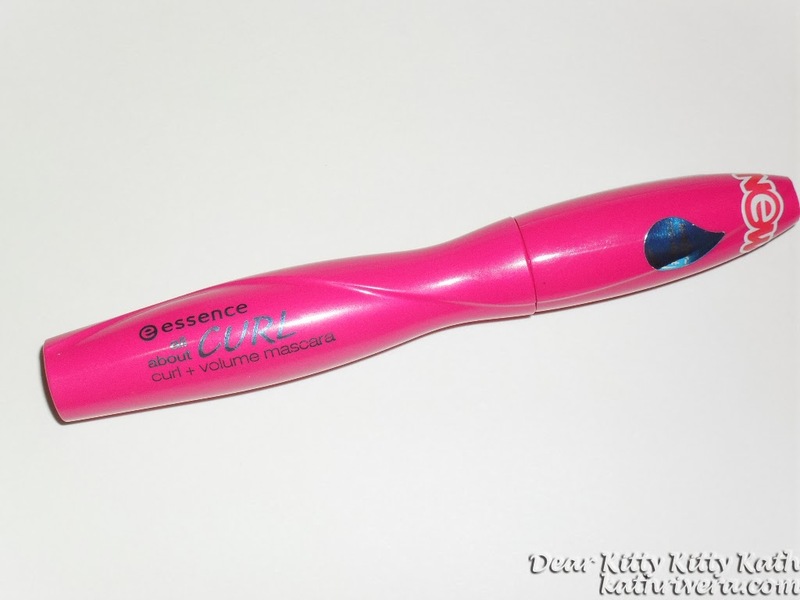 I already made a review of the Essence Eyeliner here. But as I use the product, I noticed that my hopes are falling. I didn't expect it to fail on the claim of curl and volume. Wanna know if the product is a yay or a nay? Click CONTINUE READING to find out! Currently, this is the only mascara left on my stash. I already gave my other mascara to my sister-in-law. So I have no choice but to use it still even though I find it so so. I'm planning to buy another mascara and the search is on! But before that, let me share with you the good and the bad points that I have observed by using this mascara. this mascara is good for 6 months use. size: 8 ml/ .27 fl. oz. with two coats of mascara, did you noticed that it weighed down my lashes? It has a thin curvy brush that makes application very easy. Easy to remove with an eye makeup remover. Weighs down my lashes after 2 coats . I give this a 4/5 rating. I find this mascara so so but there are still good points like it doesn't smudge or flake the whole day I'm wearing it. 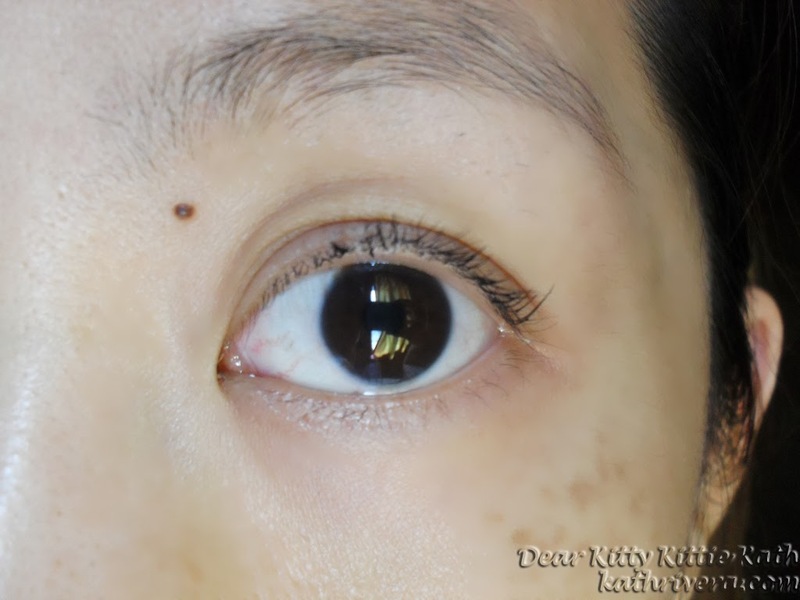 The length is still there but the lift is not obvious unlike upon application. So, if you're looking for a smudge proof, flake-free mascara that has a natural effect on the lashes then try this. But I will not recommend this to those who like their lashes dramatic and obviously primped. What's your current mascara? Have you tried this one? Thanks for sharing! nakita ko nga ms.Kath,. kaya dpat pala one coat lang sya,. madali po b syang matuyo? havent tried any products from essence yet but I like its cute pink packaging. Great review Ms.kath. The color doesn't appear that much but yes, it will weigh your lashes much if you put too much. Wishing there's something which will do the trick. I just love using mascara na water proof at gusto ko ang color pink. @Sheryl An Mungcal- hindi ko masabi kung madali matuyo, minsan kasi pag nag-apply ako tuyo na agad yung sa middle part ng lashes ko, yung sa ends dun minsan basa pa.
@Leilani Gamboa- You should try one sis :) Madami sa product nila affordable and ok yung quality. @MallSaleLover- I tried doing all the tricks that I know when applying the mascara but it's still the same. @Aliz G.M.- weee! you'll like this if that's what you're looking for a mascara. @yenmorales- yep, but I think compared to Maybelline mas ok yung latter.